With a flash of brilliant blue wings, the Western bluebird arrives, swooping to the ground to scrounge insects. Taking flight, it heads toward a wooden nest box on a pole, where hungry hatchlings wait for their meal. Bluebird populations were once in steep decline. Widespread use of DDT in the mid-20th century reduced populations of insects, one of the bluebirds' primary food sources. And introduced bird species drove bluebirds from choice nesting spaces. 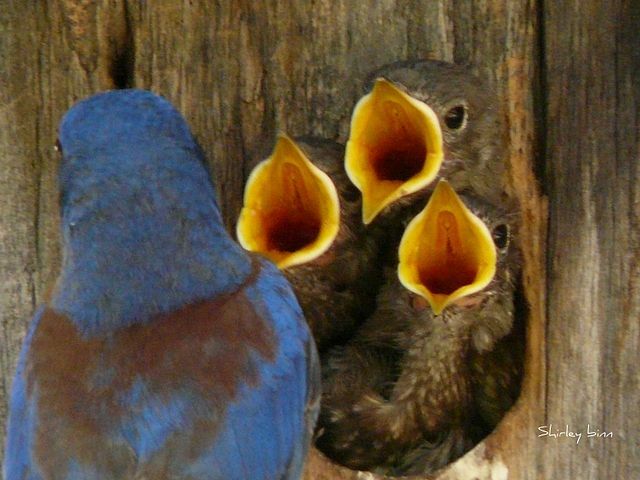 As cavity nesters, bluebirds can’t drill their own nesting holes, and rely on abandoned woodpecker nests. But non-native starlings and house sparrows out-competed them for nest space in suitable trees. Bluebirds were listed as Species of Special Concern on the Audubon Society’s Watch List in the 1970s and '80s. All three bluebird species -- the Mountain, the Eastern and the Western -- are found only in North America. Their populations are growing largely because volunteers from bluebird clubs and societies are dedicated to building, installing, and monitoring bluebird nest boxes. National Geographic credits one man with doing significant work to help to bring the Eastern bluebird back from extinction. "Bluebirders" adopt areas, called Bluebird Trails, to install nesting boxes specially designed to exclude non-native starlings and house sparrows as well as discourage predators. They monitor and report the number of eggs, hatchlings and fledglings. 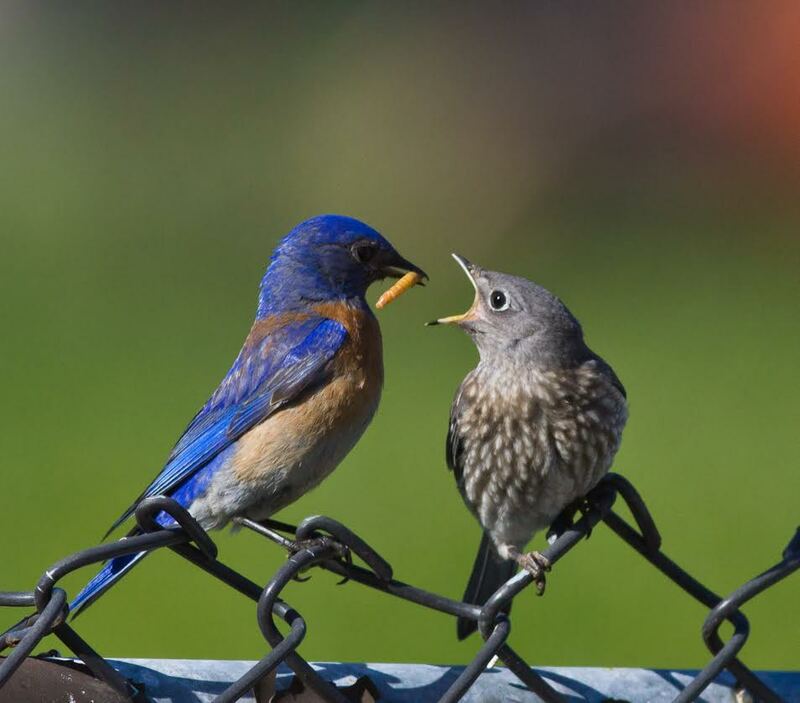 The California Bluebird Recovery Project recently published its nest box data for 2014. Project records show a significant increase in the number of Western bluebirds tracked in California over the last 19 years. The number of fledglings soared from 5,077 in 1996 to more than 17,000 in 2014. Among the many Bay Area parks and open spaces where volunteers have installed nest boxes, is Crown Beach. The East Bay Regional Park District installed six bluebird nest boxes there three years ago, with the help of a local school, and bluebirds have nested there each year. Western bluebirds are among the 170 California bird species currently considered threatened or endangered by climate change, in a seven-year study released in September 2014 from the National Audubon Society. Since bluebirds rely on insects and berries, a mismatch in timing between when food sources are available and when the migrating birds arrive and build nests, could severely impact their populations into the future. If you get out this spring to enjoy the nesting season’s grand show, the flashy males, fluffy fledglings and parental dedication won’t disappoint -- just be sure not to disturb the nest box. If you’re interested in a longer-term commitment to the birds, consider becoming a “Bluebirder” or doing other volunteer work for wildlife. You can also join a naturalist-led program with East Bay Regional Parks for a more in-depth look at our local nature and open space. 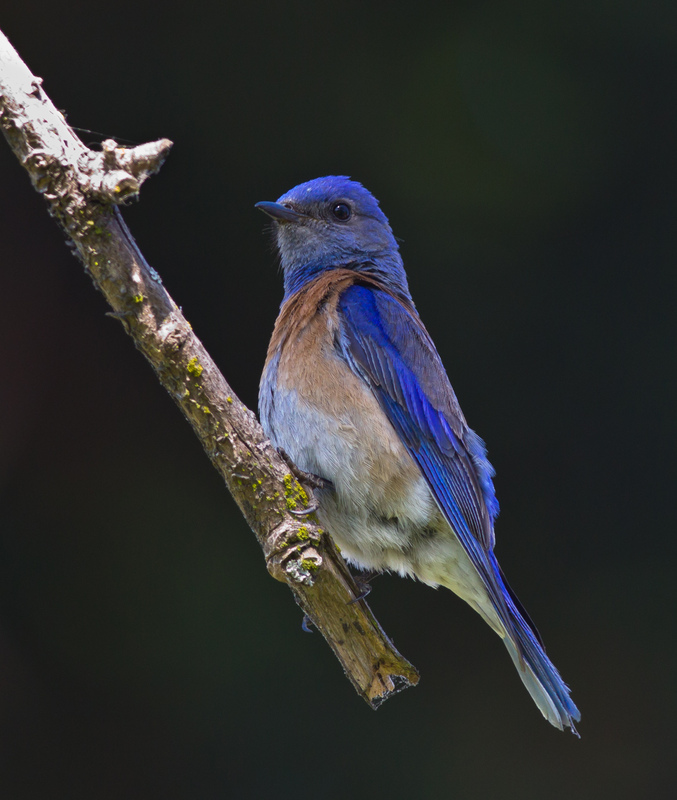 Other organizations working on behalf of bluebirds include the National Audubon Society of California, and the North American Bluebird Society.